Currently browsing articles with a topic of "spring fishing". Yellow Perch: It’s all but over now, but we enjoyed one of the best March ring-perch runs in recent memory. Neds ran big this year and they were plentiful. They were also a little earlier than usual. That made it nice for those of us who were just about going crazy with cabin fever. 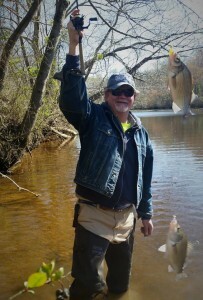 Most of my fishing was in the Eastern Shore creeks and rivers. I fished Tuckahoe Creek and the Choptank River from Denton up to Red Bridges park. Some days it was one fish after another and on other days it was slow. Yellow perch can be finicky at times. When they are spawning they typically move up the streams in waves. If you aren’t catching, stick around because chances are another wave will move through and you’ll start getting bites again. See my earlier post for more information about the yellow perch run. 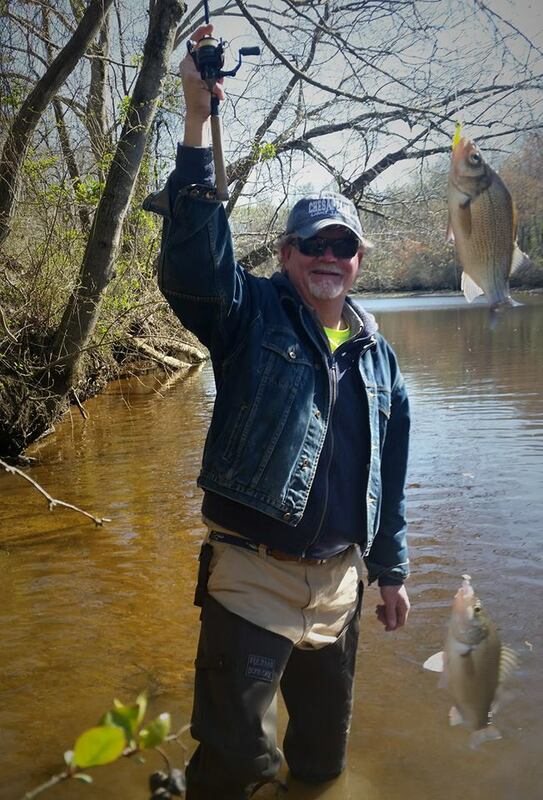 White Perch: I thought the white perch spawn might be over until I got a call from my friend Phil Kerchner last week. He was still lighting up the black backs in the creeks near his place at Wye Mills. I called him last Sunday and we met on the banks of Tuckahoe Creek. It was one pre-spawn white perch after another for a little while. Our best lures were Bust ‘Em Baits stingers and small twister tails rigged in tandem on one-sixteenth-ounce jig heads. 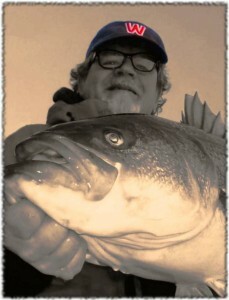 As the tide changed, the bite slowed down, but it picked back up before sunset and we took home a very nice stringer. White perch are my favorite fish to eat. I even prefer them over crappie and I think they’re way better than yellow perch. All things in moderation of course, but don’t feel bad about keeping what you want to eat because white perch aren’t threatened and they reproduce prolifically. They will generally hang around the spawning grounds for a little while after they spawn, so I wouldn’t be surprised if we keep catching them in the creeks for a couple of more weeks. After that, they’ll spread out along the shorelines where they can be targeted all summer long. Shad: The shad run is in full swing. I’ve fished the Potomac around Fletcher’s Cove and Chain Bridge twice now and found shad in good numbers both times. Joe Yack is reporting shad in the Susquehanna now as well. The good news is that hickory shad are running big this year. I’ve seen at least two reports of hicks approaching five pounds. Some anglers mistakenly identify bigger hickory shad as white (American) shad because, when they are fully mature, they lose the spots on their shoulders. The key to identifying shad is to look at the lower jaw. If the lower jaw projects beyond the upper one with the mouth closed, it’s a hickory. I typically cast one-quarter or one-eighth ounce shad darts. It pays to experiment when you’re shad fishing because the same colors and techniques that work one day might not work the next. Last week, my fishing buddy Jay Yesker out-fished me by snap-jigging two quarter-ounce darts on eight-pound-test monofilament. (That’s Jay’s boys in the picture.) The fish were taking on the fall. Since my usual spinning rig is eight-pound-test braid with a similar size fluorocarbon leader, I couldn’t duplicate what he was doing because the force of the snap using the stretchless braid would break my leader. You can bet I was rigged with mono the next time I went out, but wouldn’t you know it, on that day the fish wanted a steady fast retrieve! You just don’t know until you go. The shad run should last for several more weeks, so there’s still plenty of time to get in on the action. Read More! 1. It was still a beautiful day on the water. 2. That’s why they call it fishing, not catching. 3. 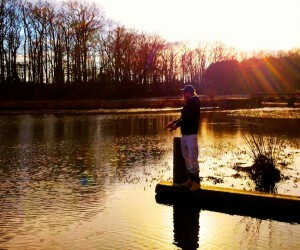 I don’t go to catch fish, I go to relax. 4. It was a nice day for a boat ride. 5. I just needed to run the engine. 6. There was a good band playing at The Jetty, so we came in early. 7. It’s not how many fish you catch, it’s how good you look fishing. 8. I just wanted to work on my tan. 9. I enjoy bird watching as much as catching fish. 10. I didn’t get skunked, I ran out of time. Read More! “I only write when I’m inspired,” wrote William Faulkner. I’d find that statement comforting if he hadn’t followed it with, “and I’m inspired every morning at 9:00 AM.” Lately, my every-morning-at-9:00 AM-ritual hasn’t included much writing. Oh, I’ve had plenty to write about, it’s just that I’ve overcommitted myself (again) so that every spare waking minute seems filled with obligation. When I have some spare time, I usually go fishing. Since I bet you’d much rather hear about the fishing than the excuses, I’ll dive right in. If the paragraph above sounds familiar, it’s because it’s a re-run from an article I posted here on ChesapeakeLightTackle.com in April two years ago. I guess what goes around always comes back, and once again I’m struggling to keep too many plates spinning in the air. I sometimes have to scale down, tune out, and just fish. If I haven’t returned an email or phone call recently, I apologize. The good news is that things are starting to settle down and I’ve found a few minutes for a fishing report and a word or two of advice. I bet you’re aware that the rockfish catch and kill season opens this Saturday in Maryland. While I enjoy seeing people get excited about fishing, I always dread the start of the kill season. 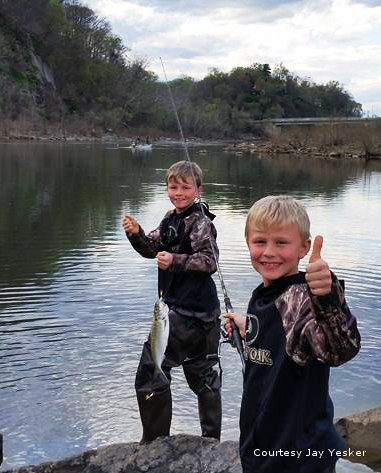 Opening Day doesn’t mean much to fishermen who are in it for the simple joy of fishing. 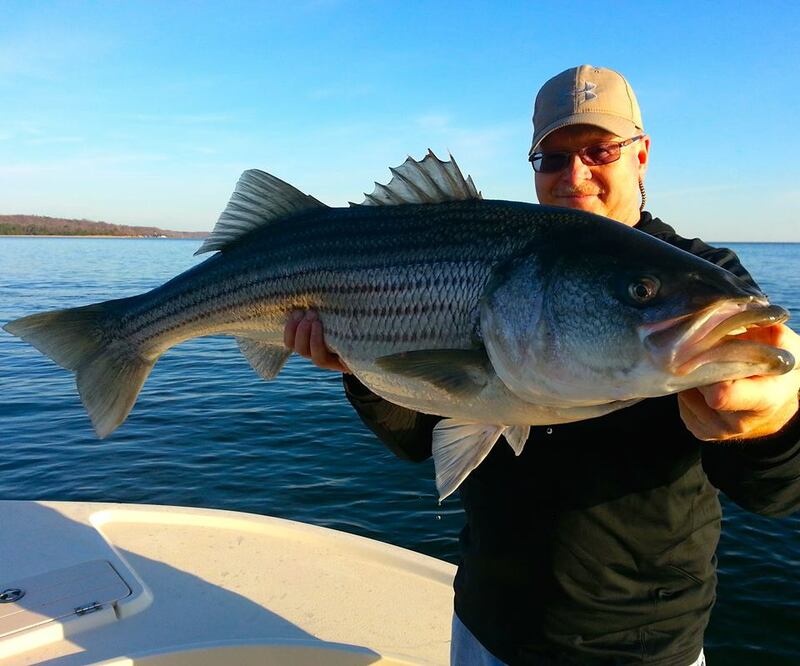 Most of us have been catching and releasing fish all winter. We fish because we love the sport, not because it puts meat on the table. I like to eat fish too, but you won’t see me keeping any big stripers this trophy season. Read More! Recently, I put that question to some of the best fishermen I know, anglers with the right stuff who are continually successful. Their responses might surprise you. It isn’t a love of nature, the quest for solitude, or the thrill of the fight that drives them. Instead, they look at me with a what-kind-of-crazy-question-is-that glare and answer simply, BECAUSE I HAVE TO. When you can’t fish, you get angry. When you get angry, you growl at people and animals. When you growl at animals, they growl back and you get chased by a bear. When you get chased by a bear, it shreds your pants and you hide naked in your neighbor’s garage. When you hide naked in your neighbor’s garage, her husband comes home and shoots holes in your boat. Don’t get holes shot in your boat. Go fishing. Read More! I’ve been lying low over the past couple of weeks waiting out the craziness. Most of my fishing has been in out-of-the-way places far from the madding crowds. Radios blaring, airplanes buzzing, stereos thumping, outboards droning, helicopters whirring, sirens wailing – Wow! Boat shows, trolling tournaments, and sailing regattas make the main stem of the Chesapeake very noisy. The Bay is fully awake from her winter slumber and the crowds are back in force. While we each enjoy the water in our preferred ways, to my thinking fishing should include elements of solitude and stealth. I’ve mentioned before that I’d rather pick up aluminum cans at rush hour along I-95 than try to pick off rockfish in the main channel on a busy trolling weekend. I prefer to look off the beaten path for places where I can tune-in to something a little more pleasing than the clamorous dissonance of the masses. 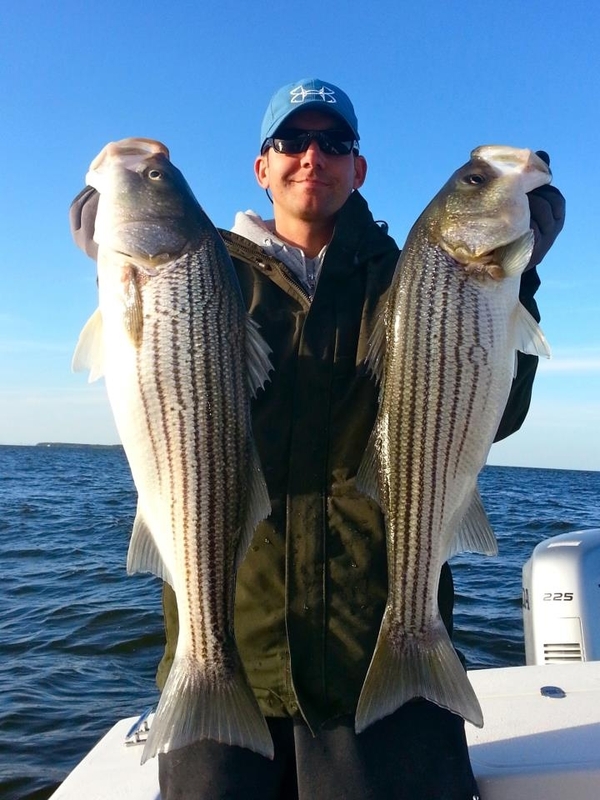 Since the striped bass spawn is winding down on the Chesapeake Bay, I thought it might be interesting to take a look at some post-spawn patterns. 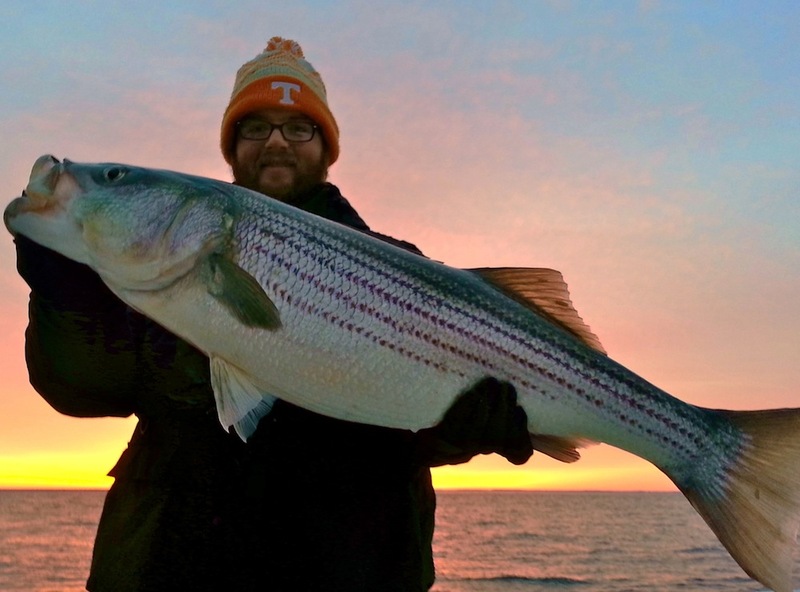 When stripers come off the spawning grounds, they’re usually hungry. If you can find them, they’re pretty easy to catch. Ah, but finding them, there’s the rub. Where should you look? Read More! 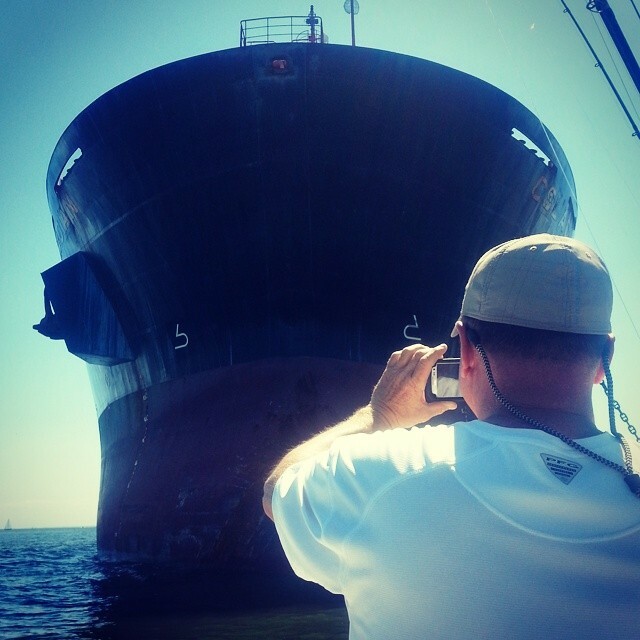 Revisiting my series on the common traits of good fishermen, I keep coming back to attitude and innovation. 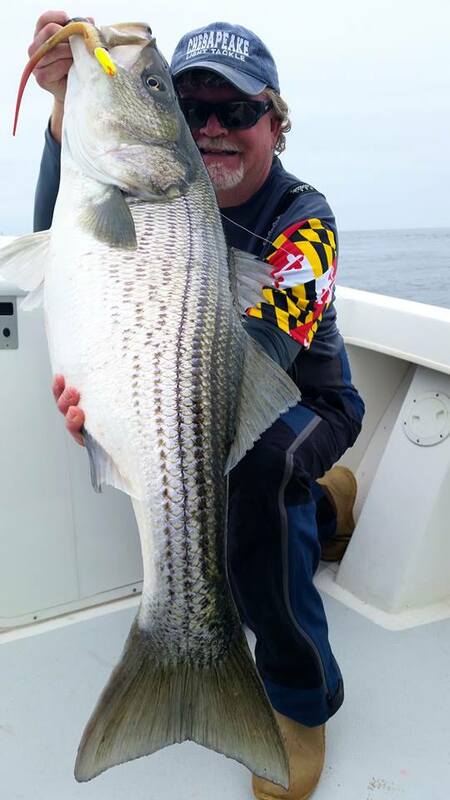 I recently crossed paths with Chesapeake Bay light tackle guide Dennis Fleming and the subject of “the right stuff” came up. Dennis noted that, regardless of experience level, some fishermen come on his boat with a natural talent for fishing. When I think of talent, I consider my experience with artists and musicians. There is no doubt that creativity comes more naturally to some people than to others. So, how important is natural talent and creativity to successful fishing? Obviously, the most important factor to success is time on the water. In fishing, there’s simply no substitute for experience. Still, there must be something to the observation that some anglers get it, and some never will. An important factor is that successful anglers are open to new ideas. It’s been said that 10-percent of the fishermen catch 90-percent of the fish, and that good fishermen think like a fish. Hmm, “think like a fish?” Is that something that can be learned or taught? 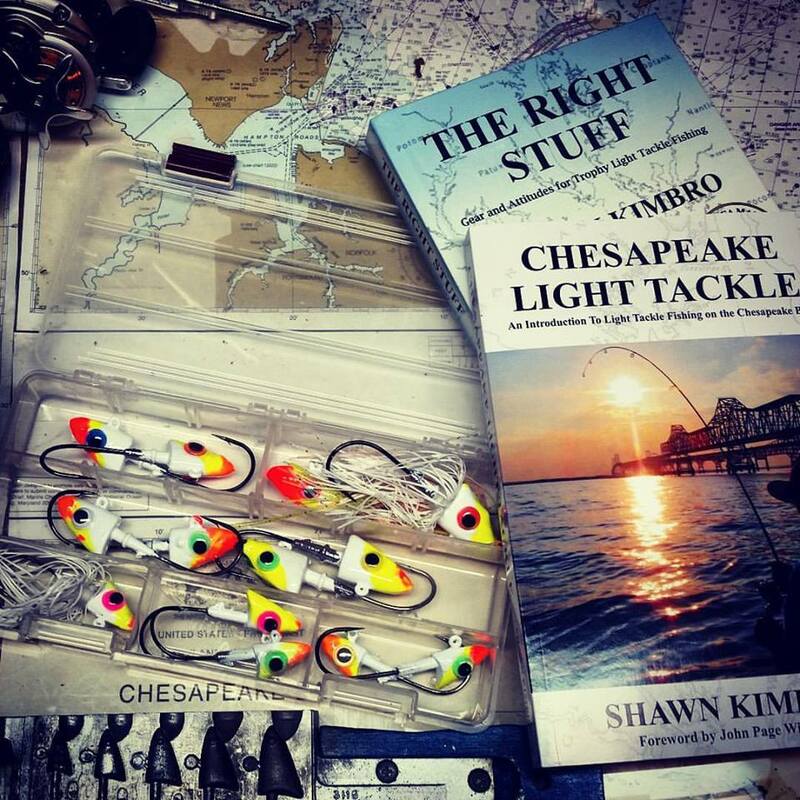 Embracing creativity and experimenting with innovative techniques is lot of what this website and my book, Chesapeake Light Tackle, An Introduction to Light Tackle Fishing on the Chesapeake Bay is about. I try to pass along good ideas and tactics I’ve learned once I’ve had a chance to try them out. It all starts with an open mind. Read More!